Training to match your needs, at your workshop or ours. Unparalleled support, expertise and service are mainstays of our business. This approach underpins our training provision, and we’ve been proud to have been training companies on how to fabricate for over 40 years, ensuring that they can share in our success. 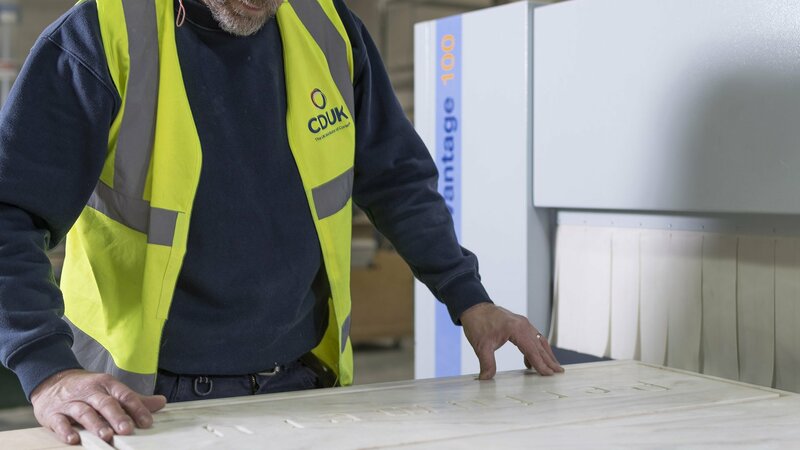 As the solid surface industry grows, CDUK is continuing to ensure that Corian®, as the market leader, is the first to develop opportunities for individuals to gain certified qualifications in both the fabrication and installation of solid surface. This in turn, assists our customers in finding new employees who already have relevant solid surface qualifications and experience. 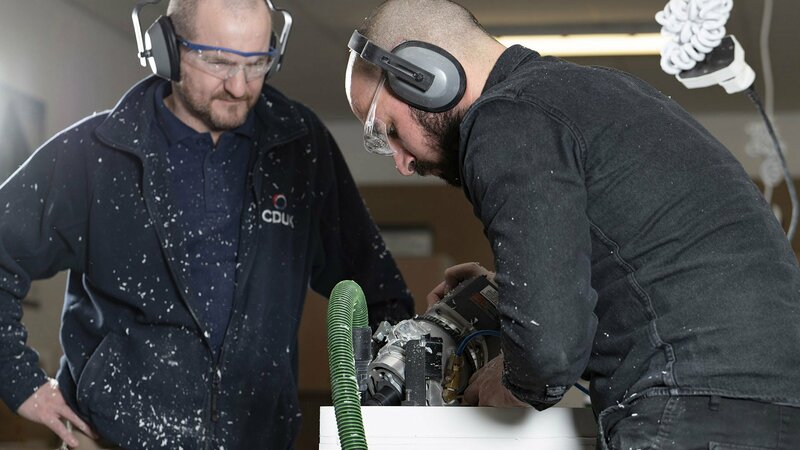 All individuals successfully completing a training course by CDUK, in either fabricating or installing Corian®, will gain evidence towards passing the City and Guilds Level 2 Diploma in Furniture, Interiors and Wood Machining Unit 229 Fit and Fix Worksurfaces. Our courses are limited in size to ensure a focused training session that is tailored specifically to the needs and standards of attendees. We offer a number of different courses from Two-Day Fabrication Courses aimed at people from the woodworking industry who have little or no experience of working with solid surface, to One-Day Refresher Courses for skilled fabricators who would like to learn new techniques. 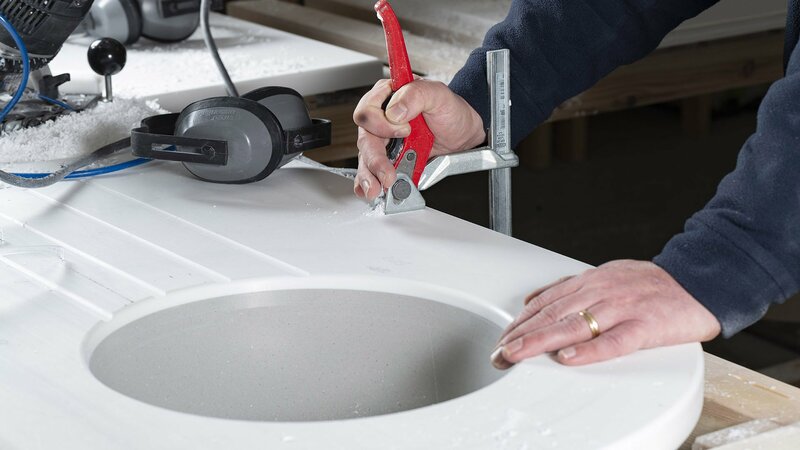 Developed especially for kitchen fitters who want to learn how to install Corian® work surfaces. A bespoke training session tailored to meet your company's specific needs, which can be held at your workshop or ours. For those familiar with Corian® who simply need a refresher or would simply like to learn new techniques. 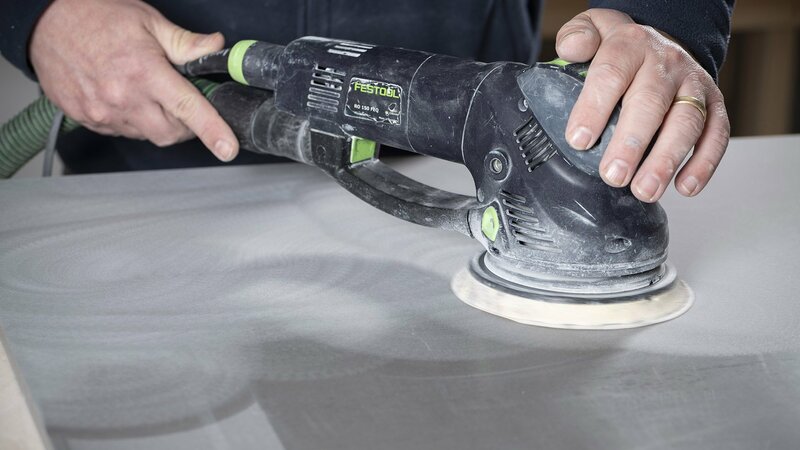 For those from the woodworking industry with little or no experience of working with Corian® Solid Surface. Are you a trained Corian® fabricator? Click below to view our free half day courses for existing customers.